With our Road Bike Tour Tenerife "Santiago del Teide", you will discover the Tenerife Santiago Valley cycling with your favourite road bike. 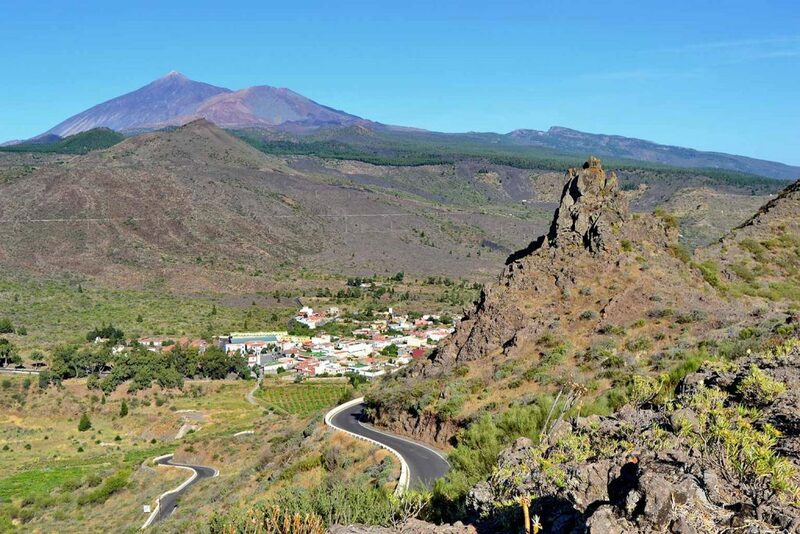 The eponymous capital of the municipality of Santiago del Teide, which includes Puerto Santiago and Los Gigantes, is located 1000 m above sea level in the magnificent Valle de Santiago. Ride with us on Santiago’s Valley and explore the west coast of Tenerife, the giant rock formations of Los Gigantes, the canarian villages on the mountains, the historic little town of Santiago del Teide and its countryside, the moonlike landscape and the black volcanic rock of Arguayo.